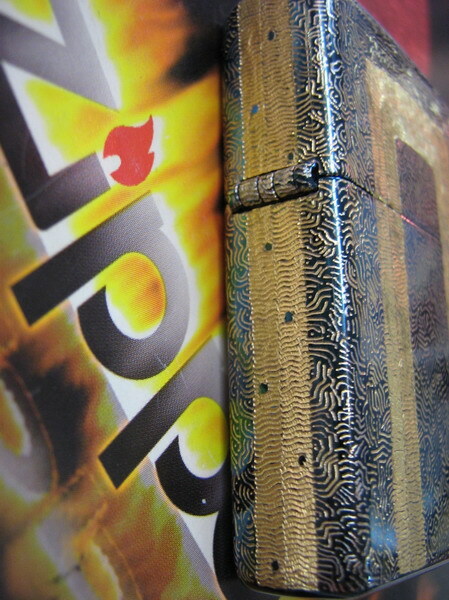 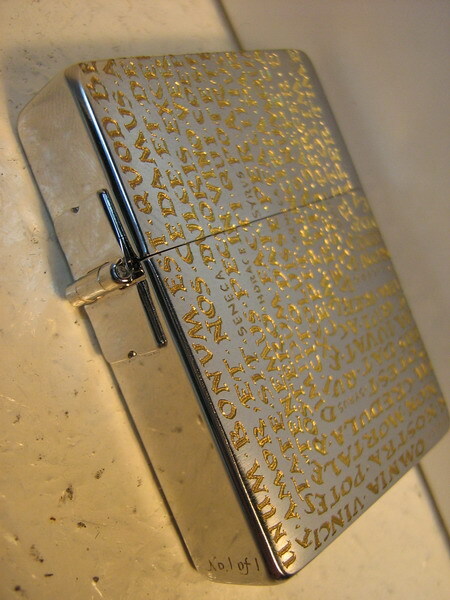 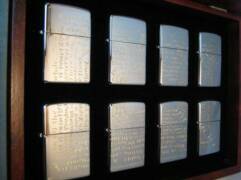 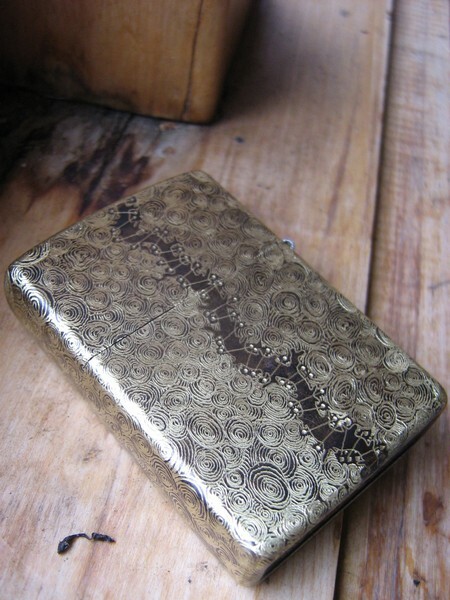 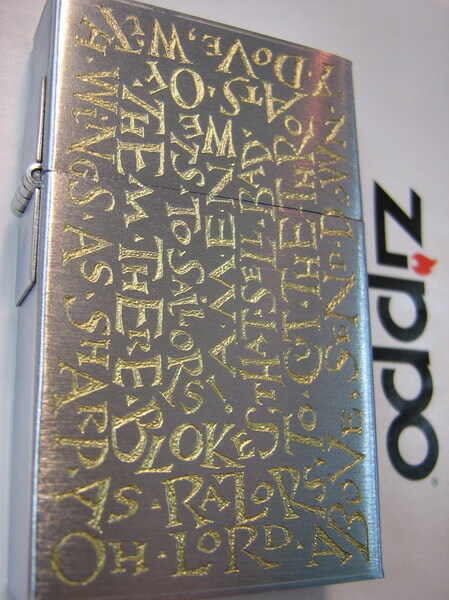 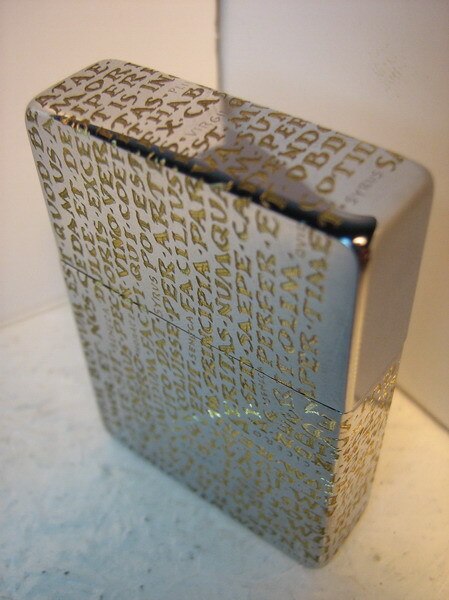 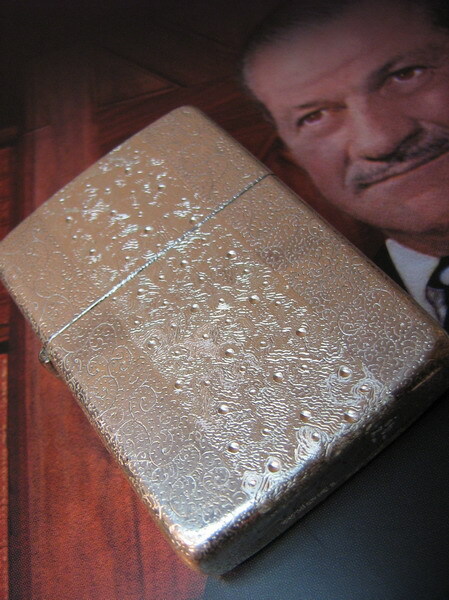 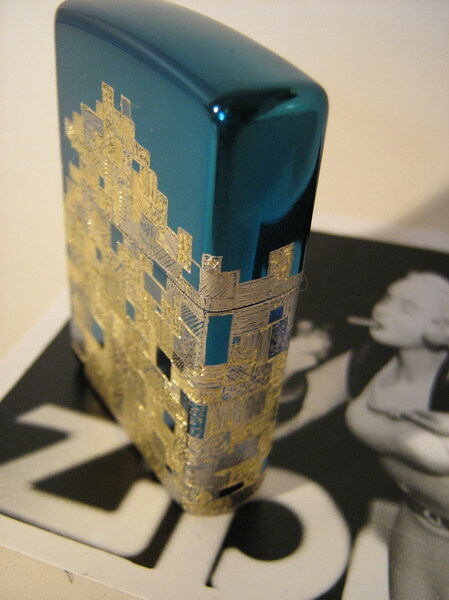 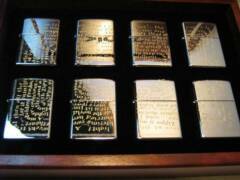 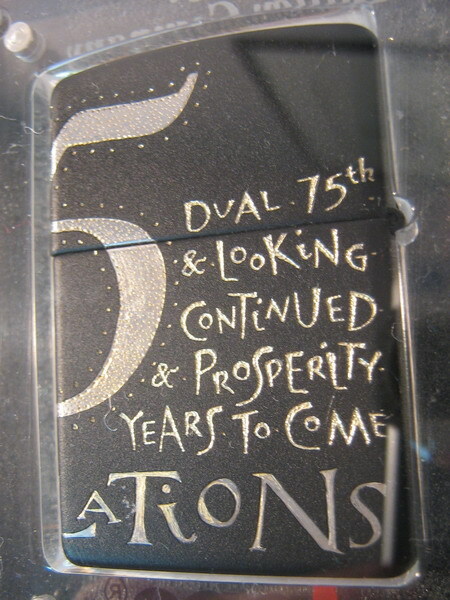 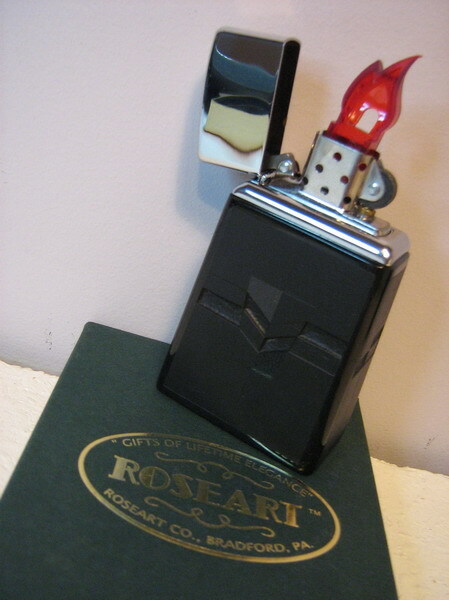 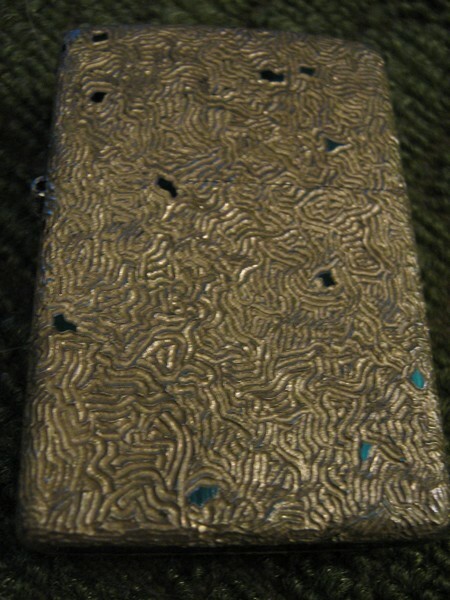 Zippo 75th Anniversary Auction piece "Glisten"
A favourite poem (by Robert Frost) of an inspirational friend - thank you Ralph. 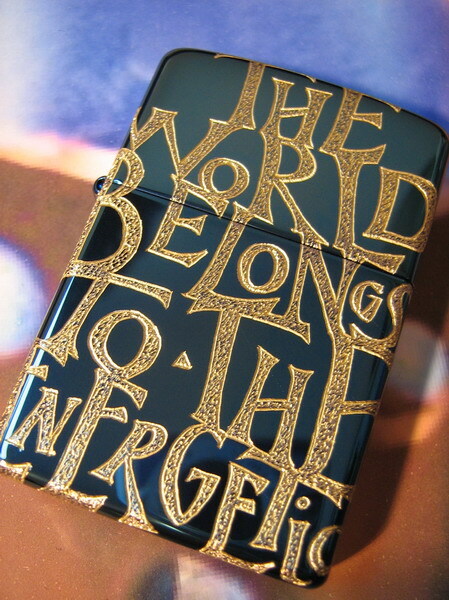 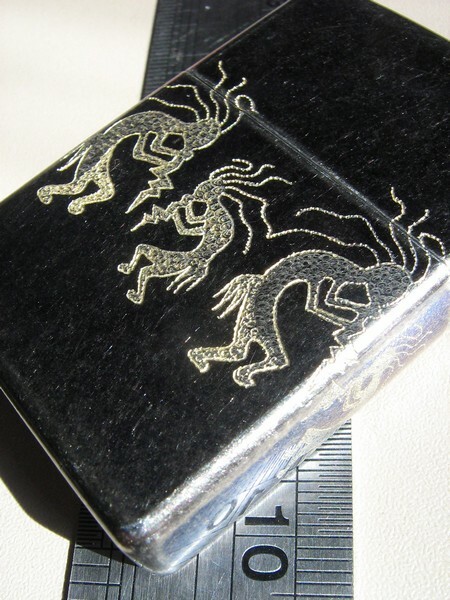 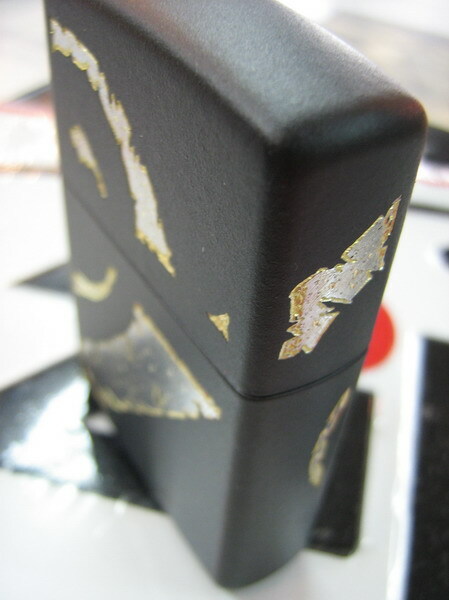 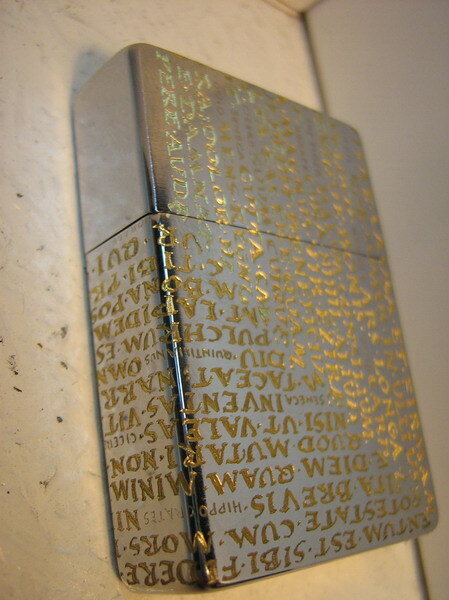 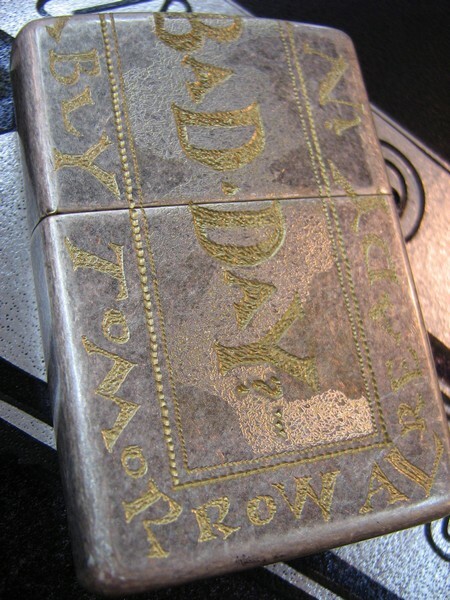 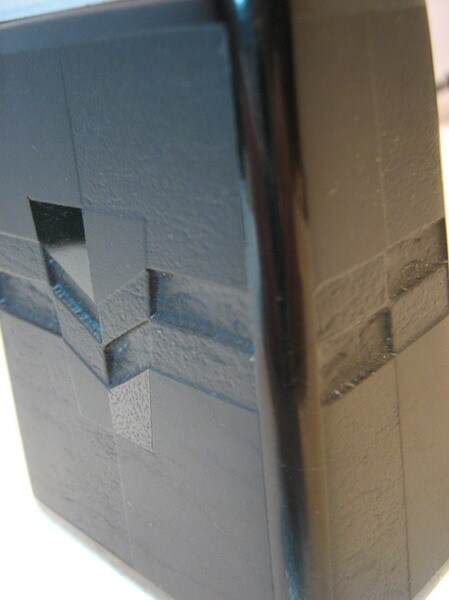 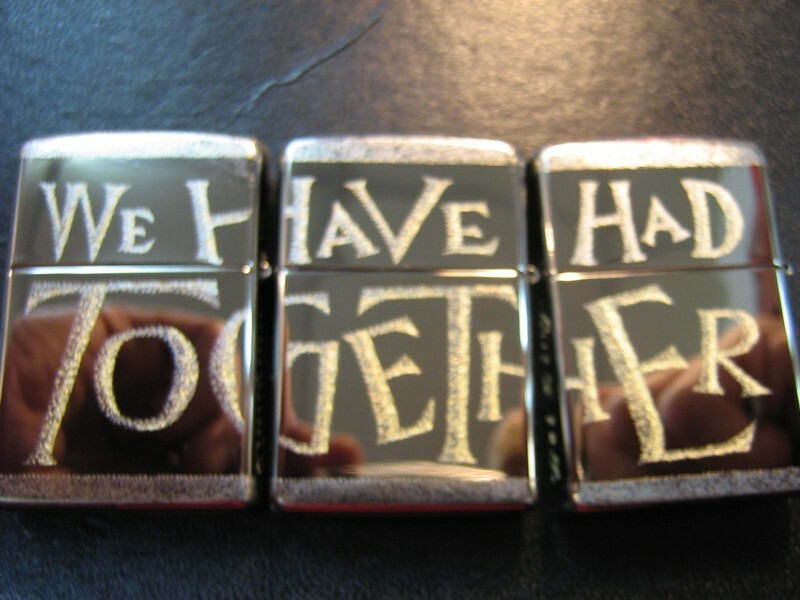 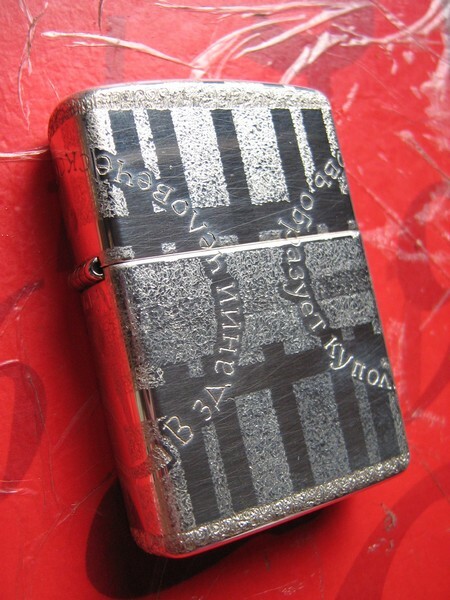 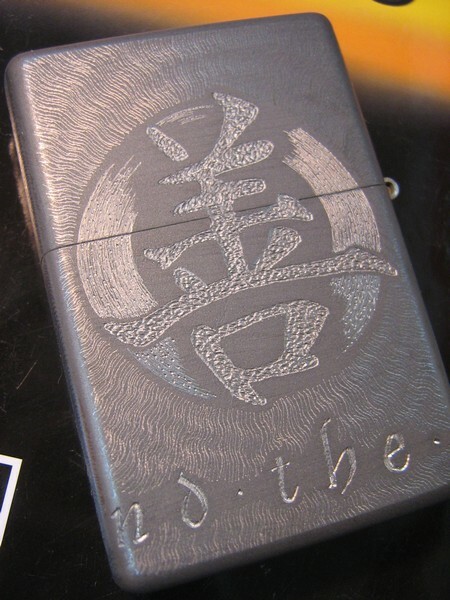 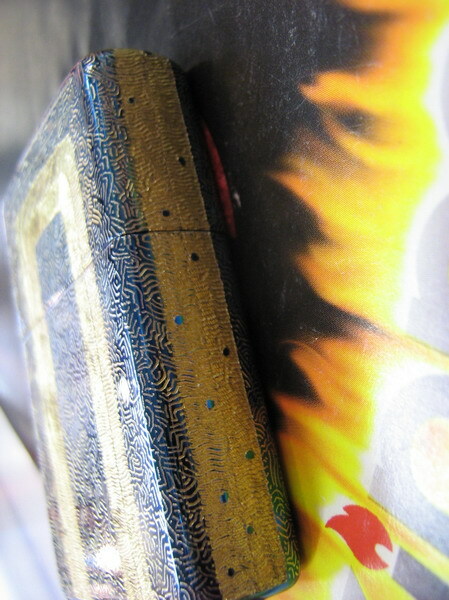 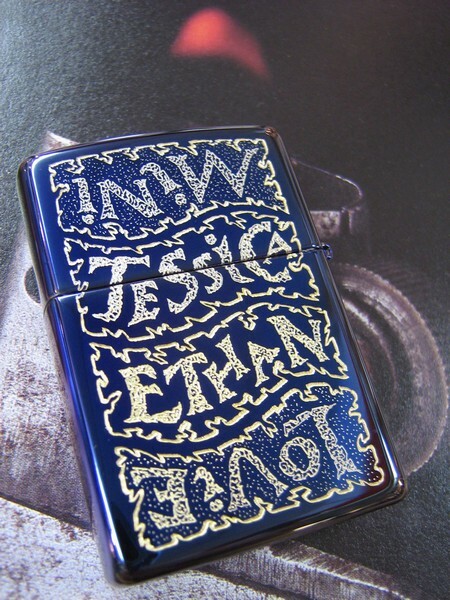 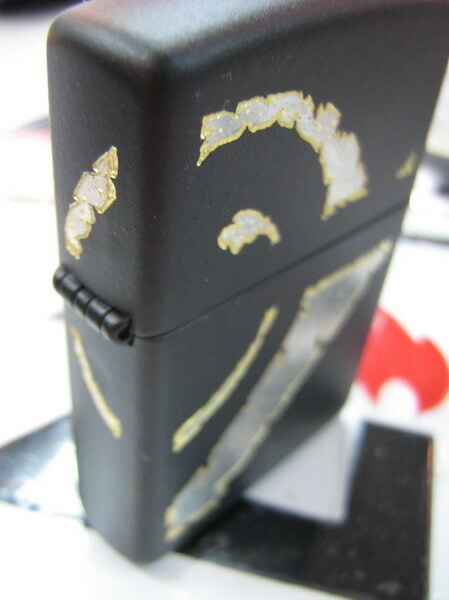 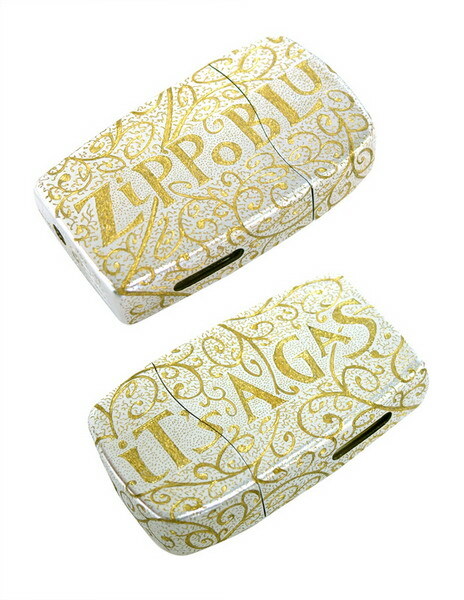 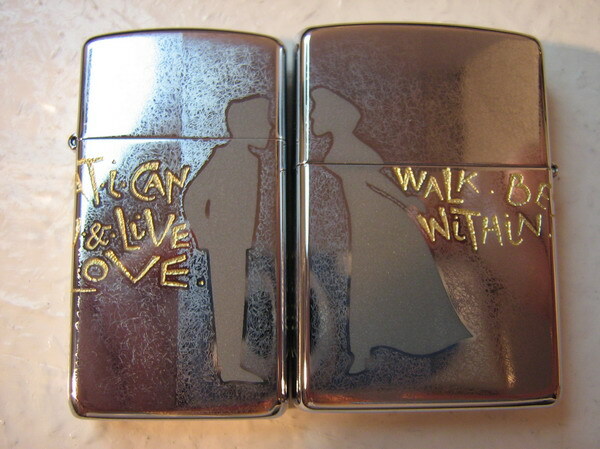 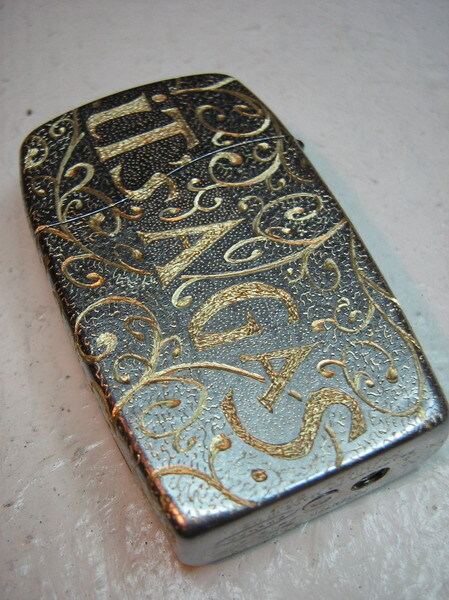 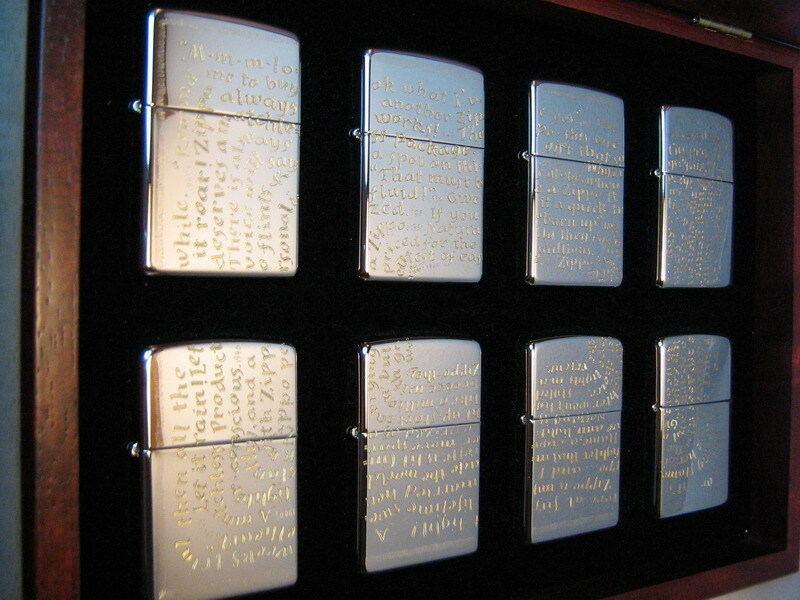 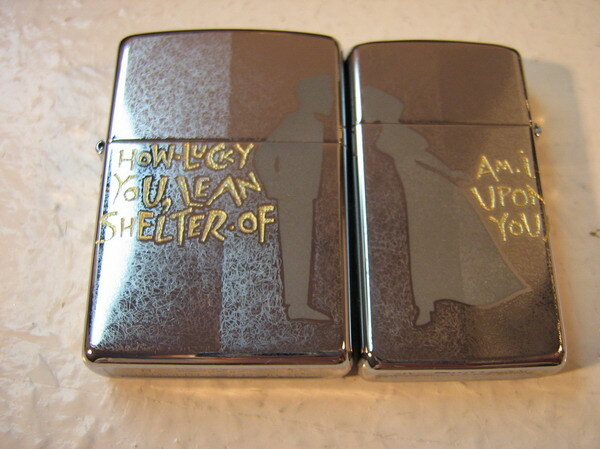 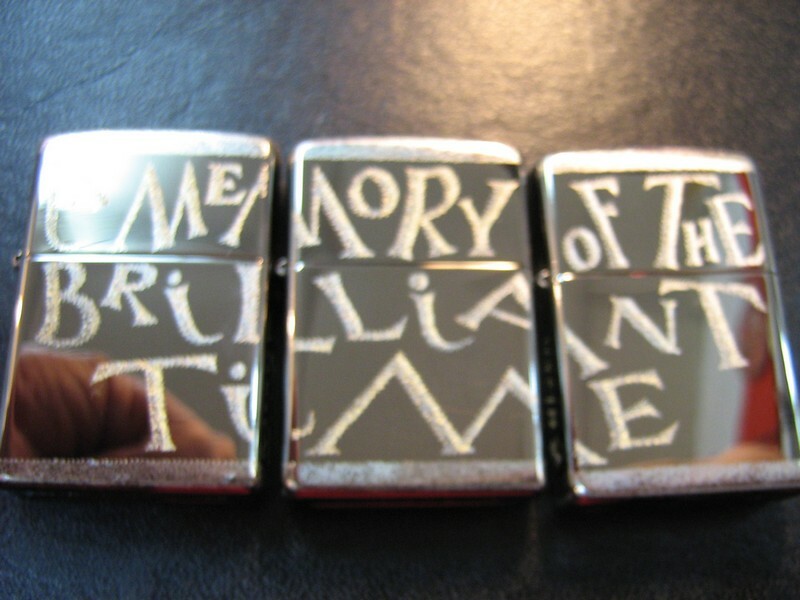 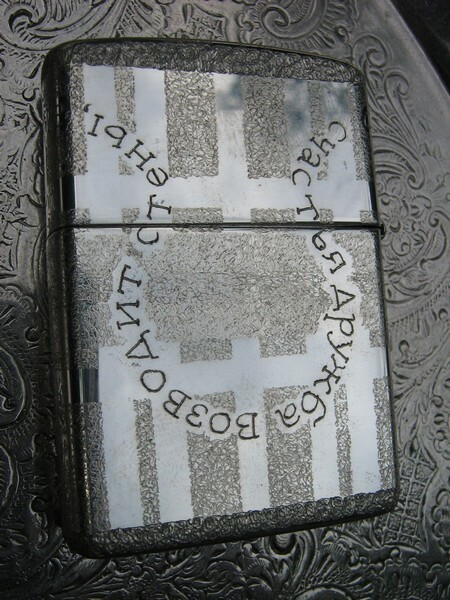 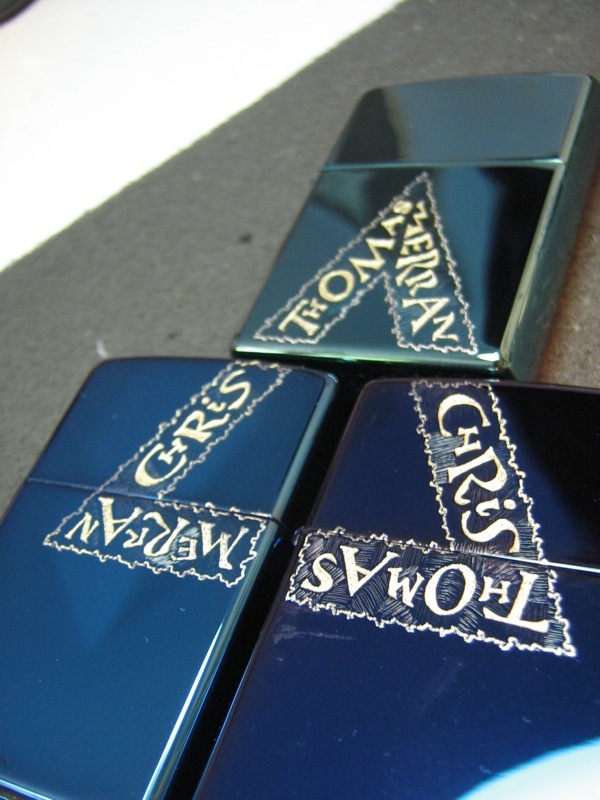 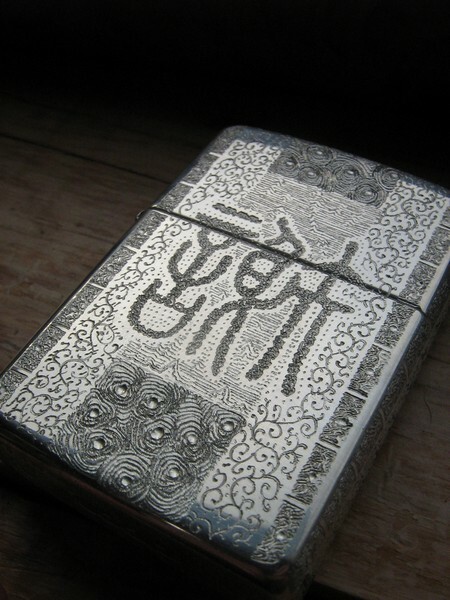 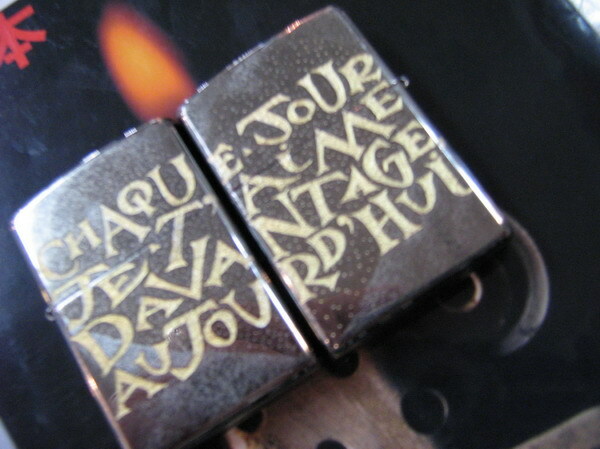 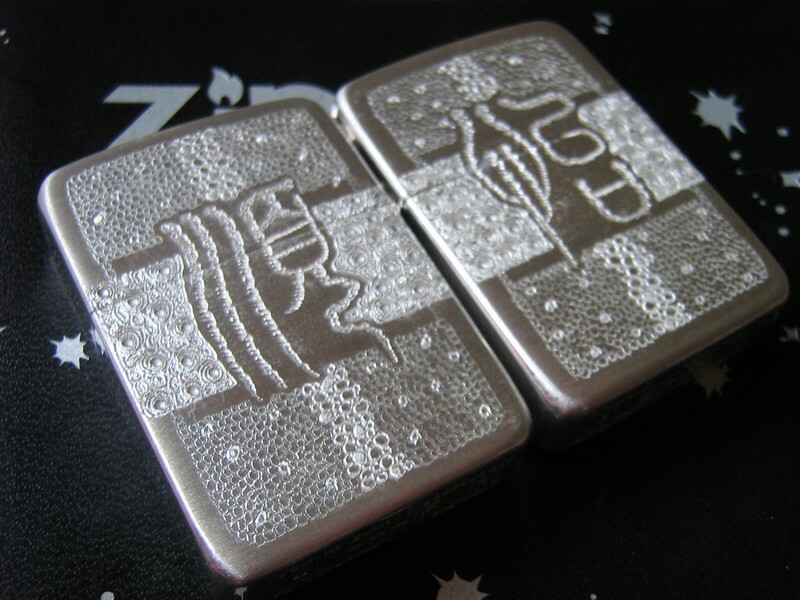 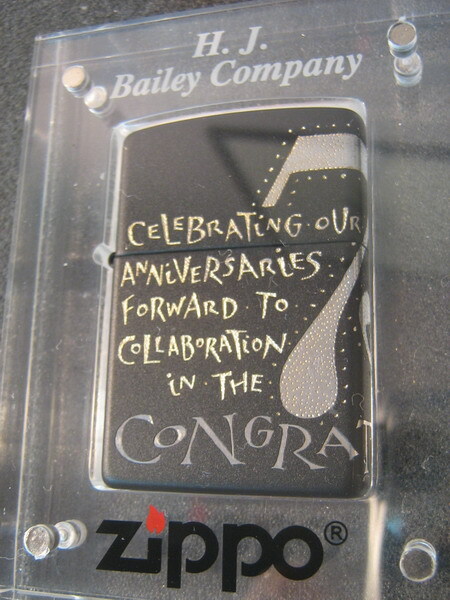 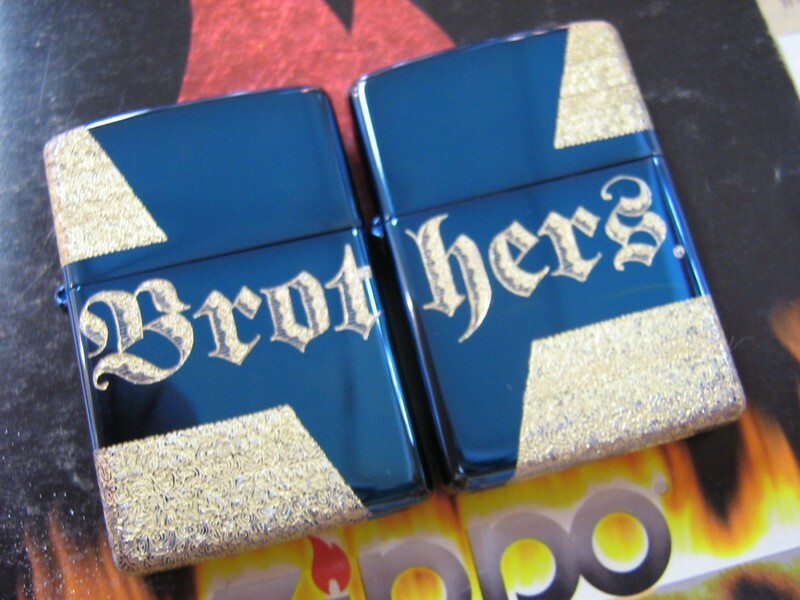 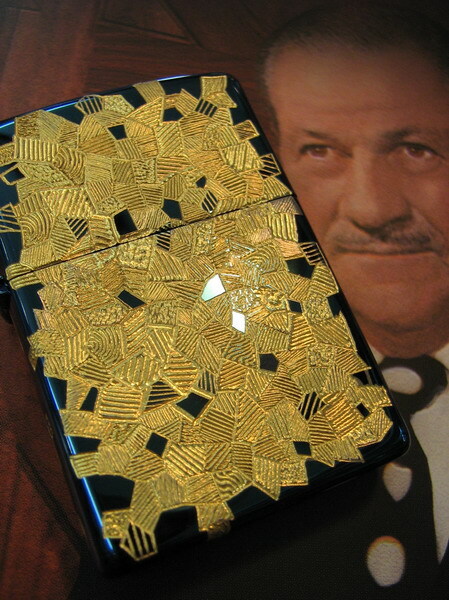 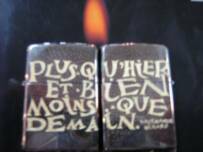 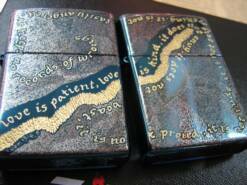 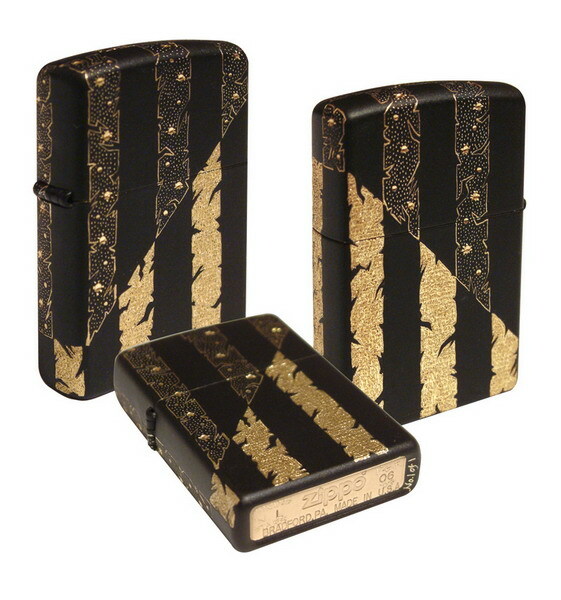 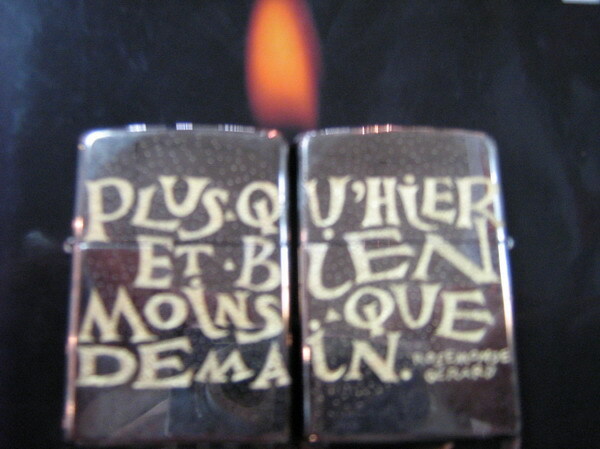 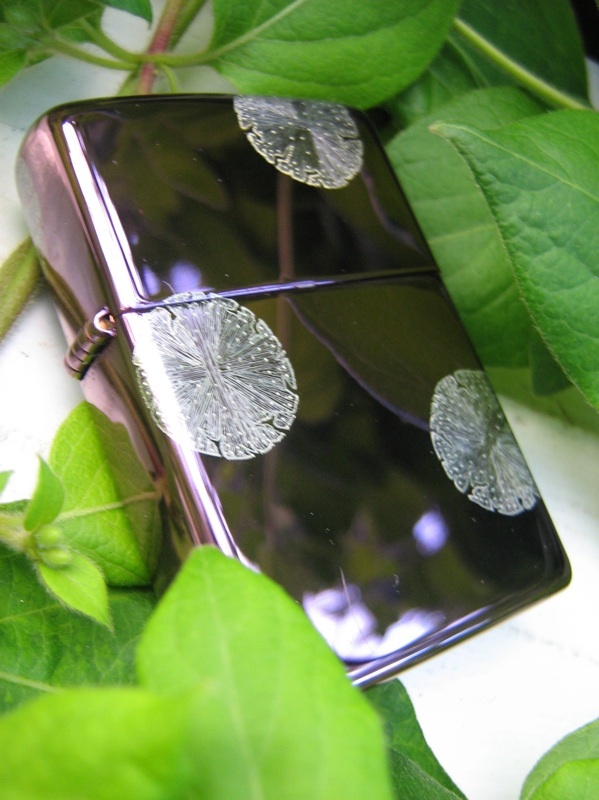 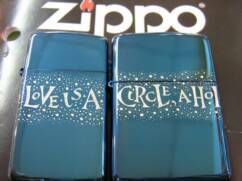 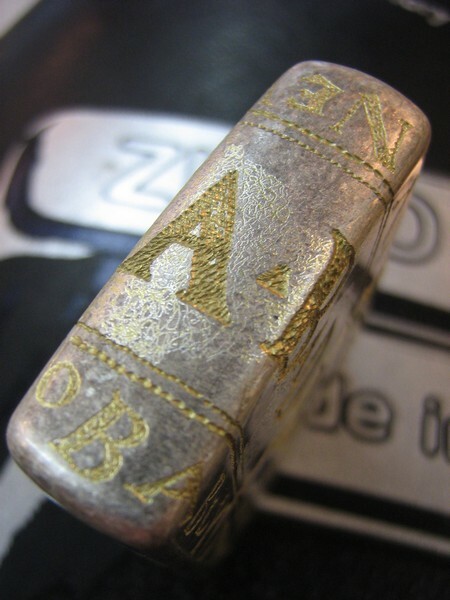 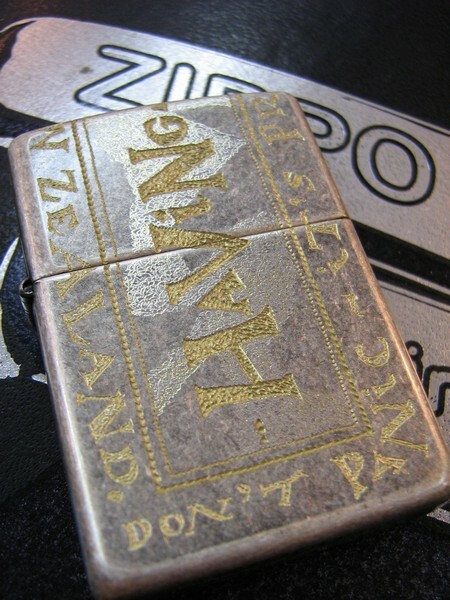 Kun & Hao's black ice pair of Zippos with a French quotation "Each day I love you more, today ... " & ".... more than yesterday & less than tomorrow"
75th Anniversary piece commissioned by the H J Bailey Co to celebrate Zippo & H J Bailey Co.'s dual 75th anniversaries. 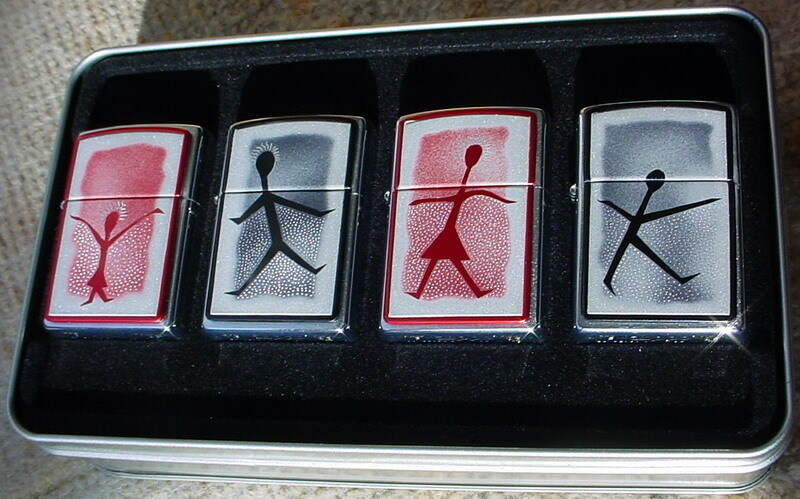 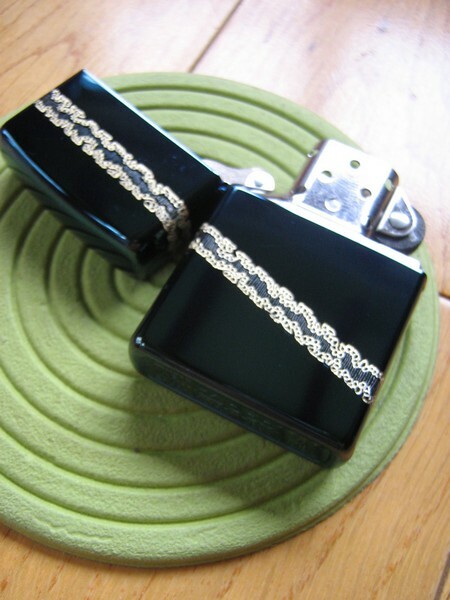 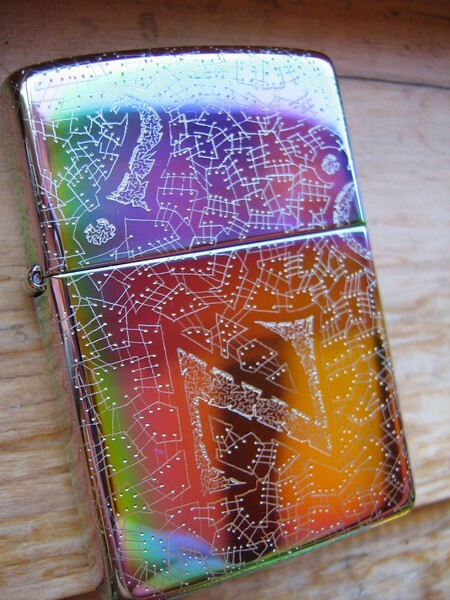 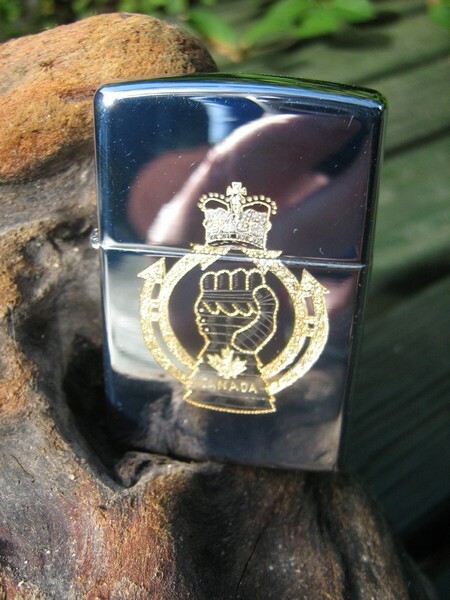 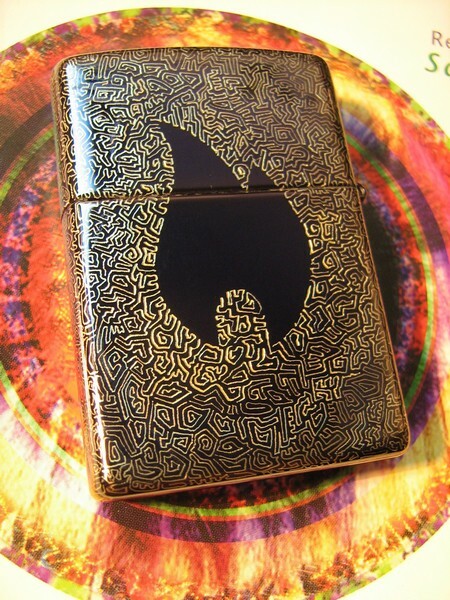 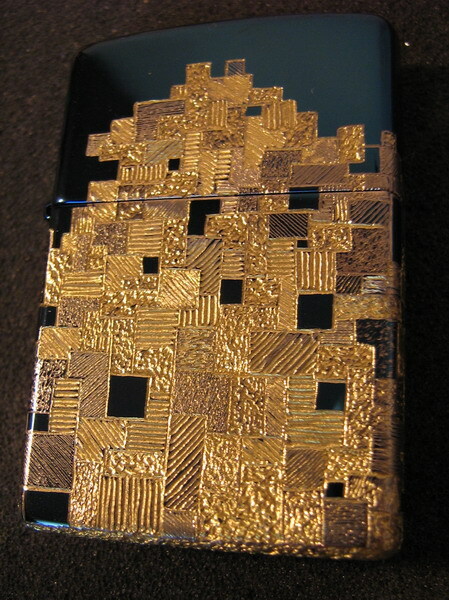 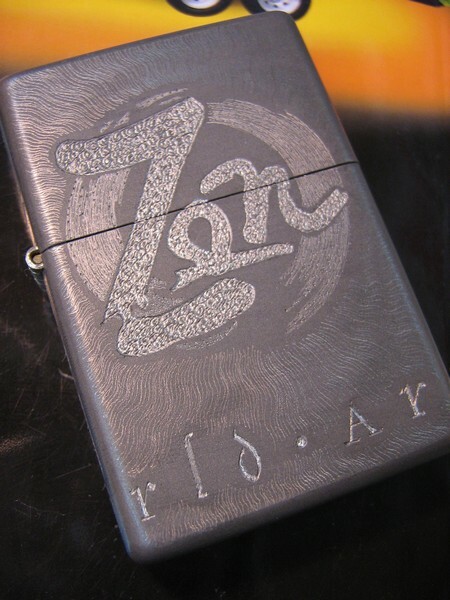 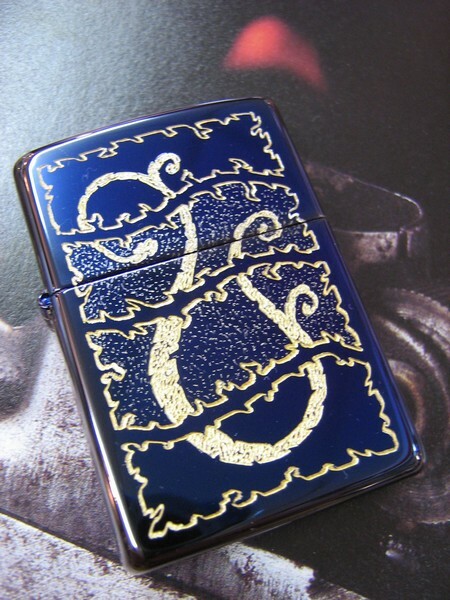 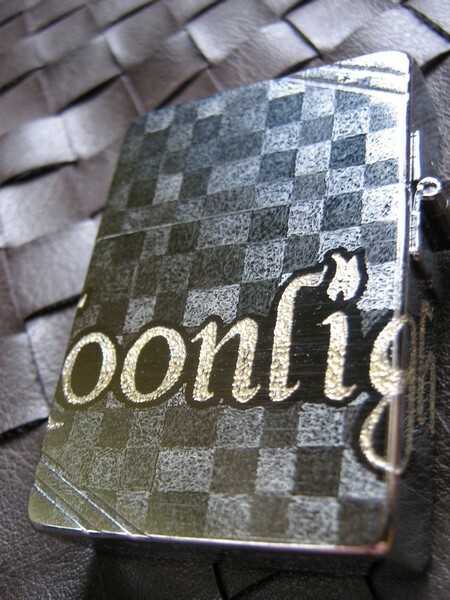 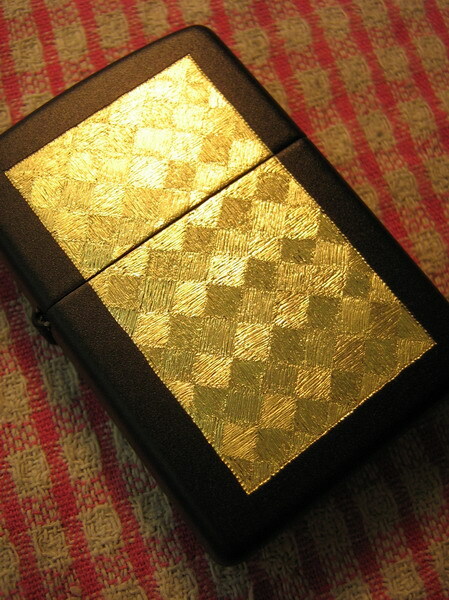 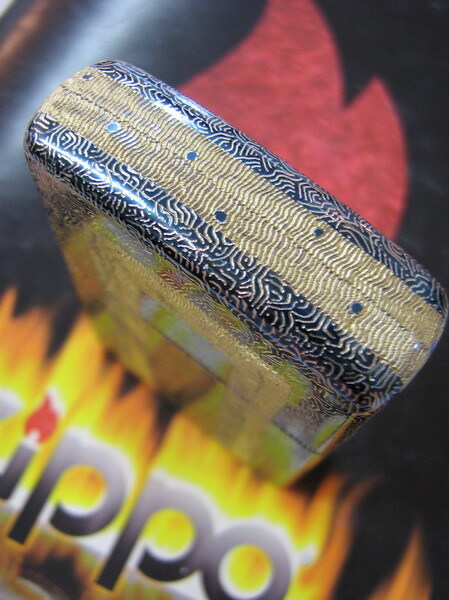 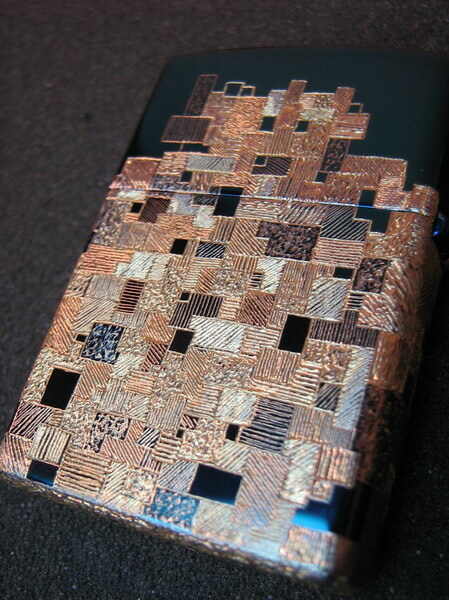 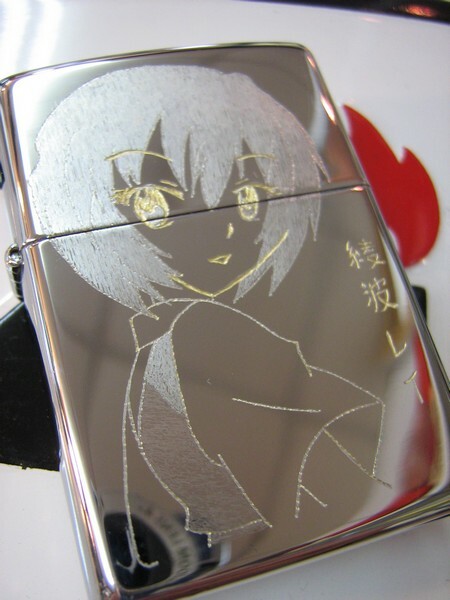 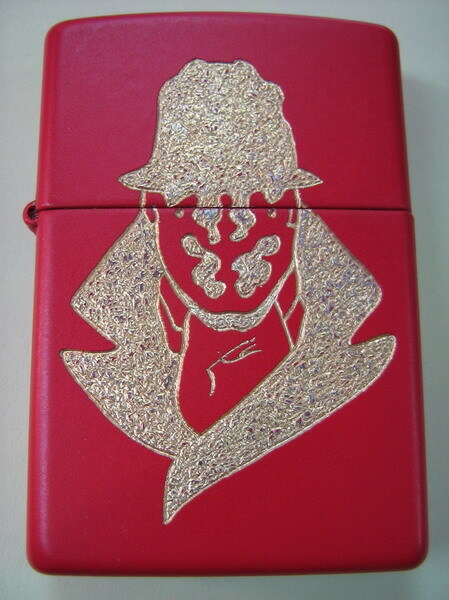 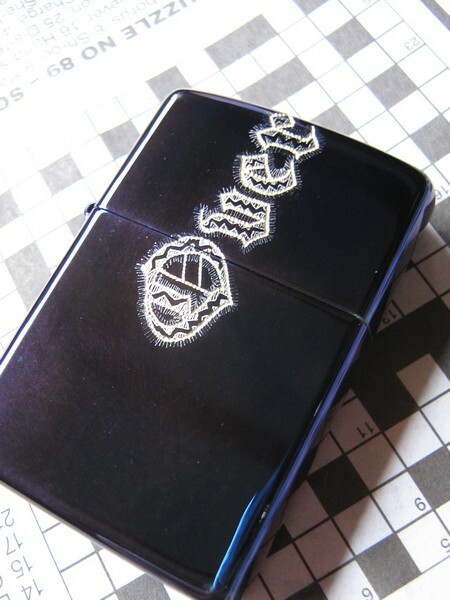 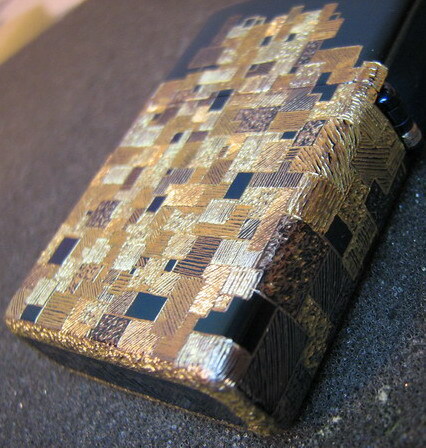 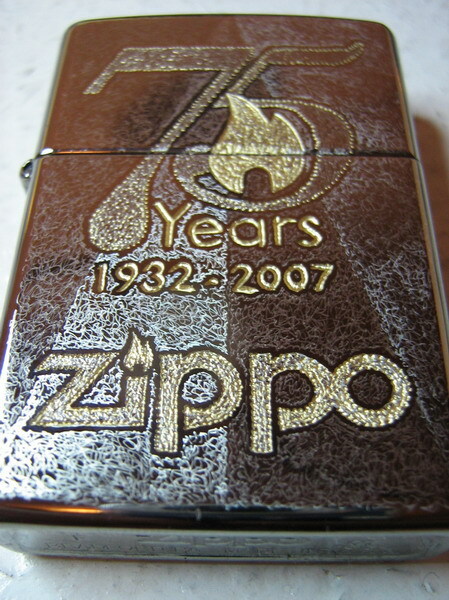 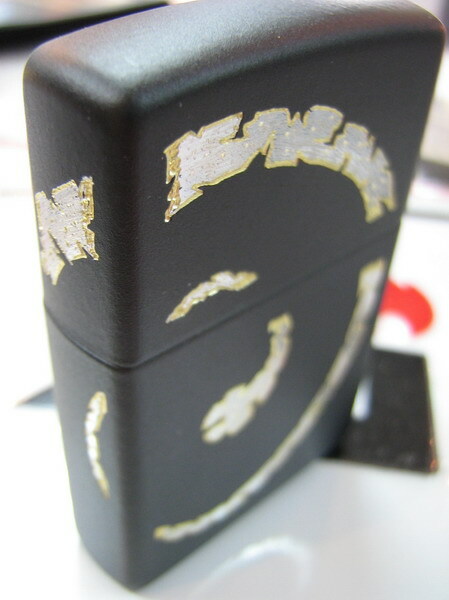 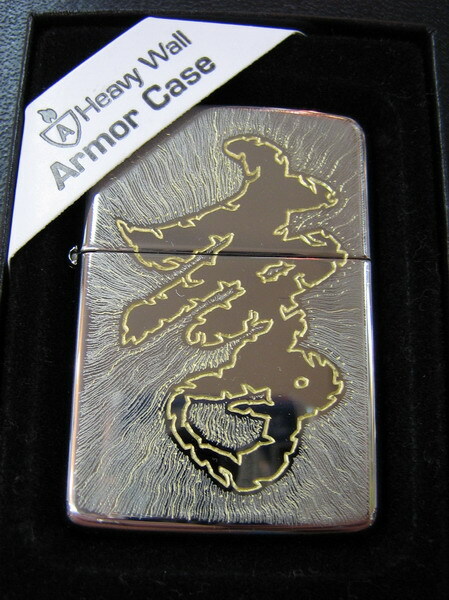 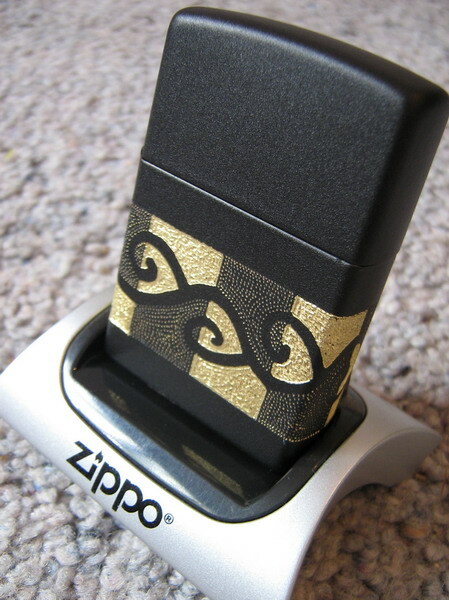 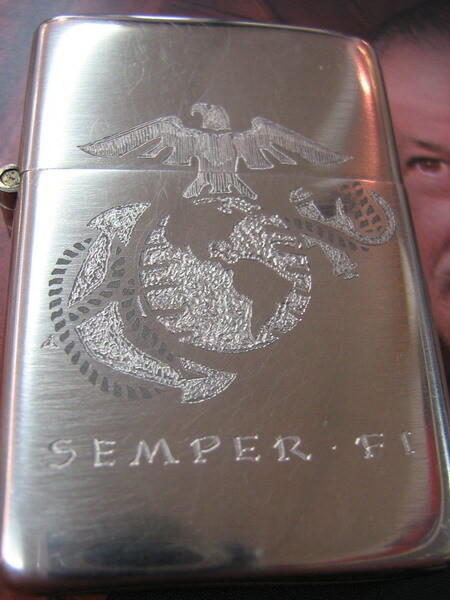 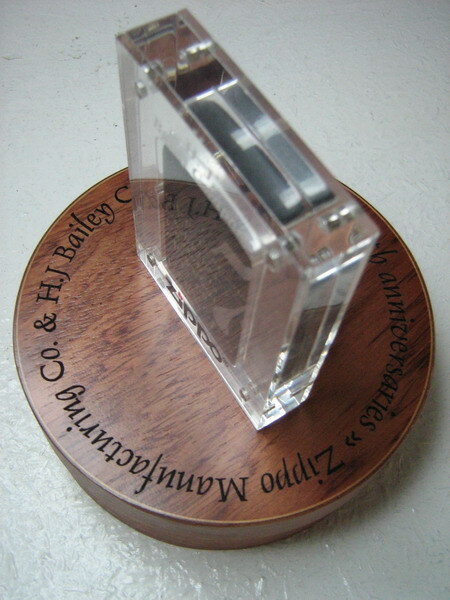 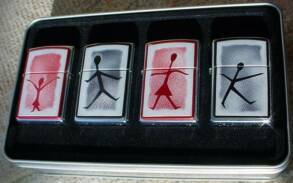 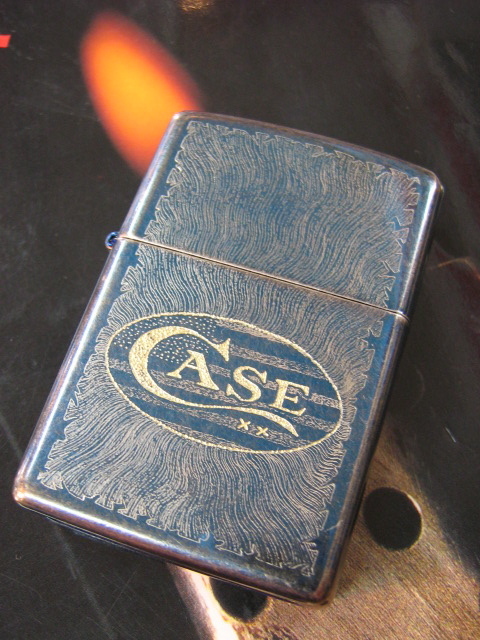 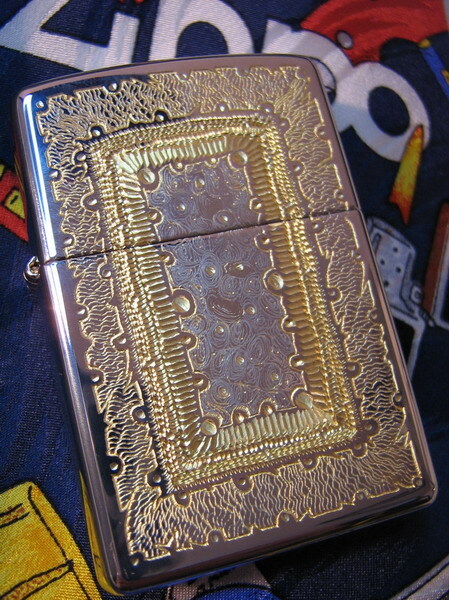 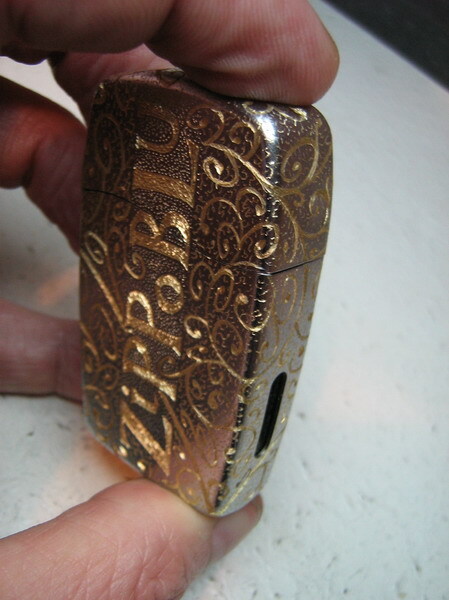 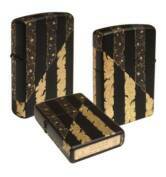 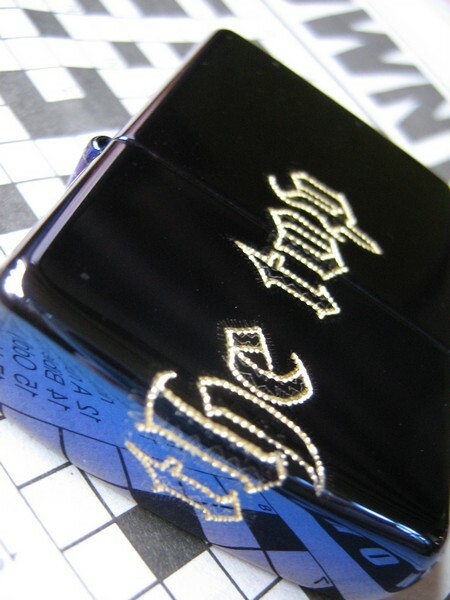 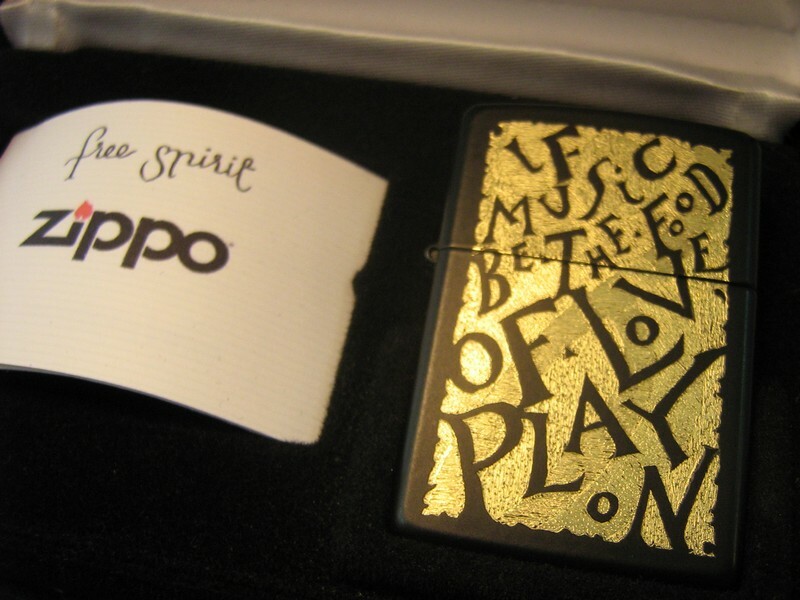 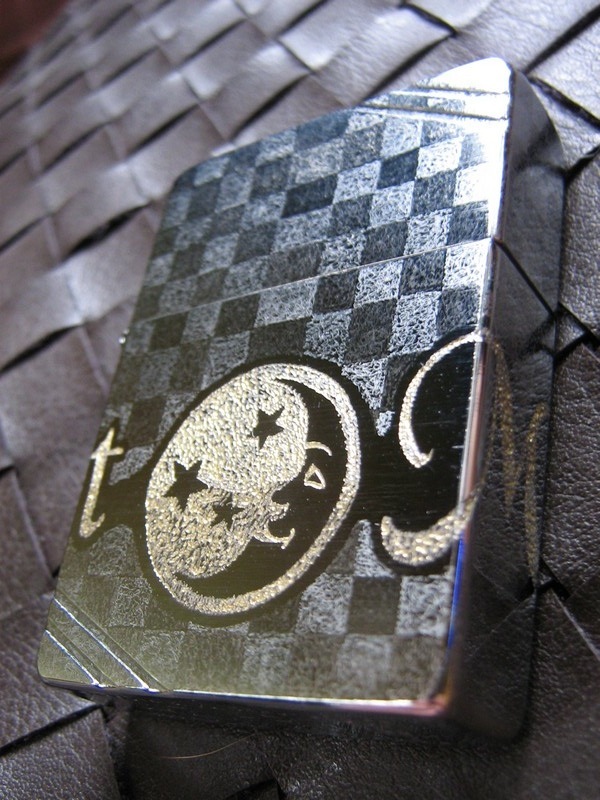 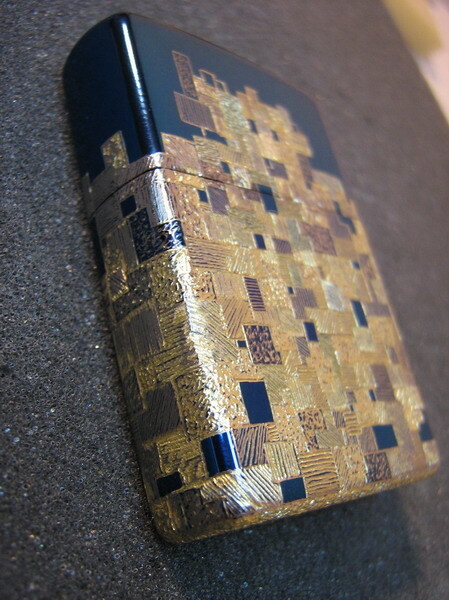 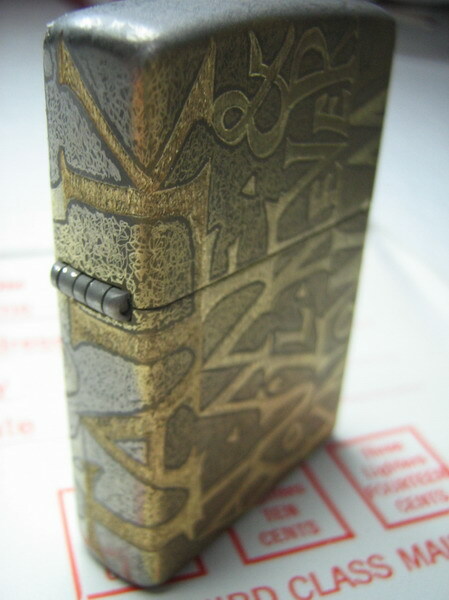 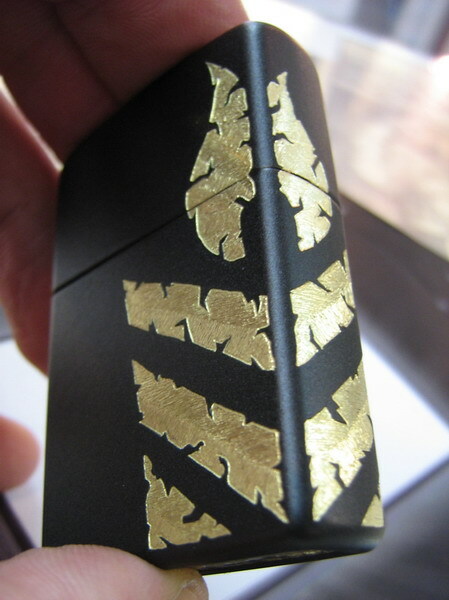 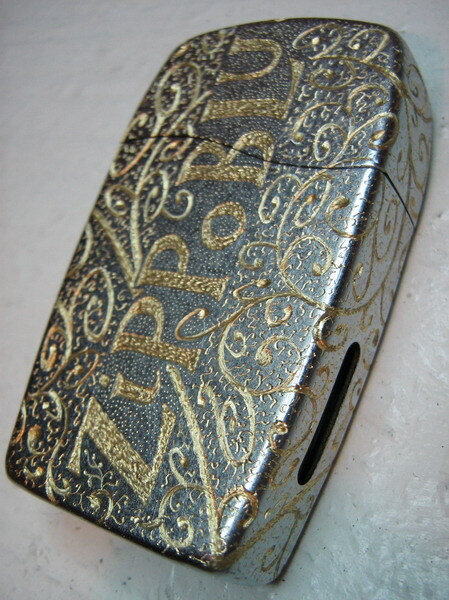 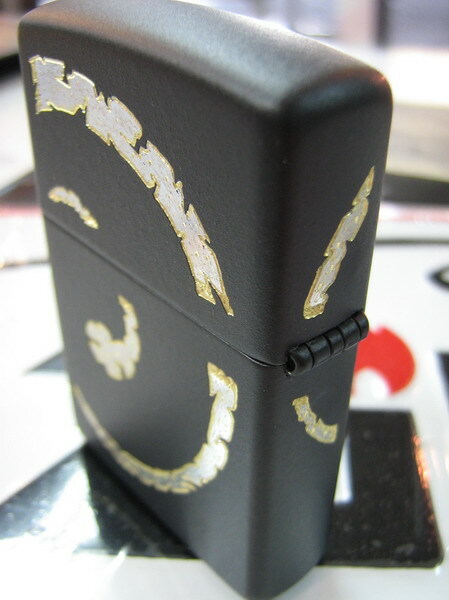 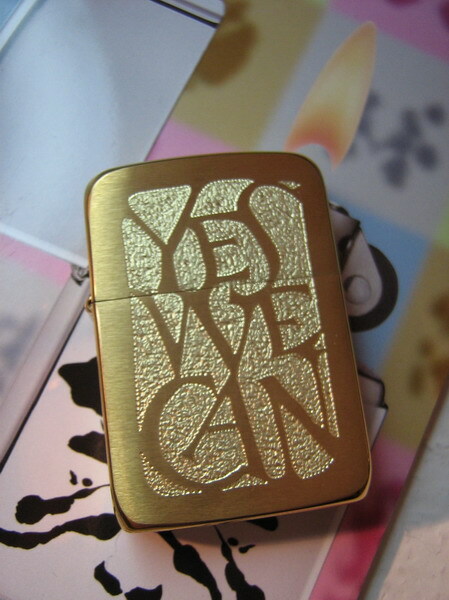 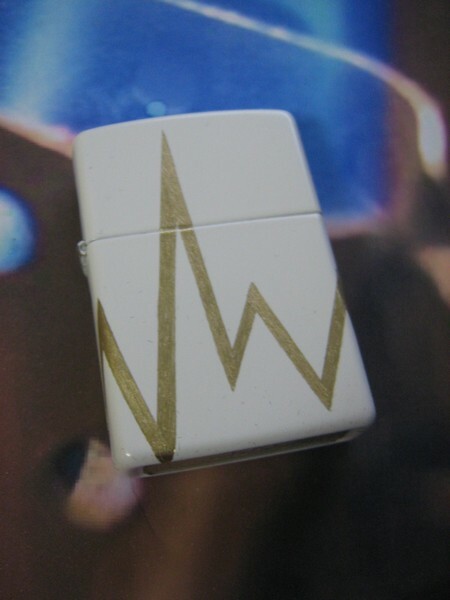 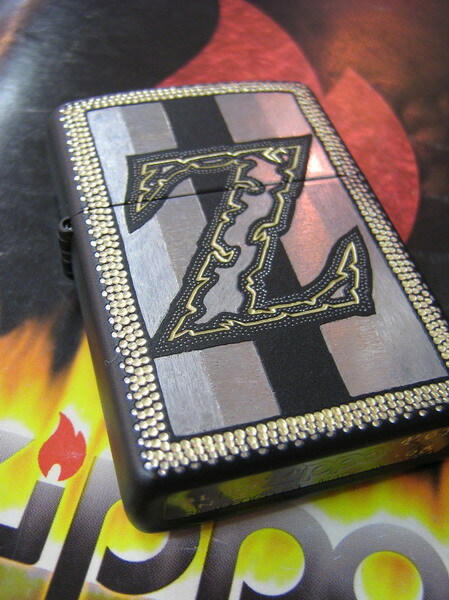 This was presented to Mr George Duke, owner of Zippo. 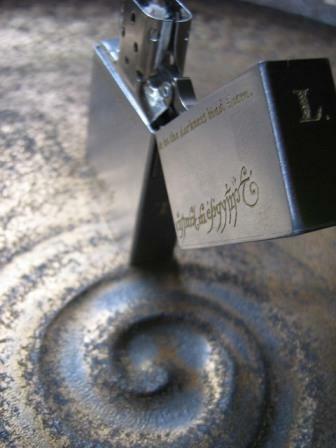 3 views of "Stripes 'n stars"
"Love is a circle, a holding of hands, a strength"
Translation from Latin - "There is only one good, the cause & support of a happy life, trust in oneself"
1933 Replica with the Elven runes from inside the ring in "The Lord of the Rings"